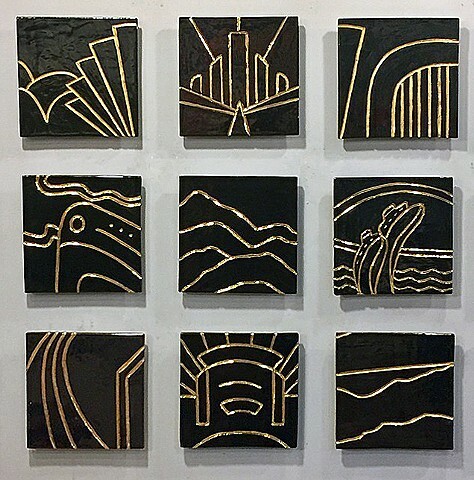 Nine 12"x12"x2" hand carved ceramic tiles with black glaze and gold luster (which is made from real gold). Mounted on wood frame backers and wall cleats, for added dimensionallity. Modular work can be arrange in any configuration.